Get In The Cage. Get In The Action. 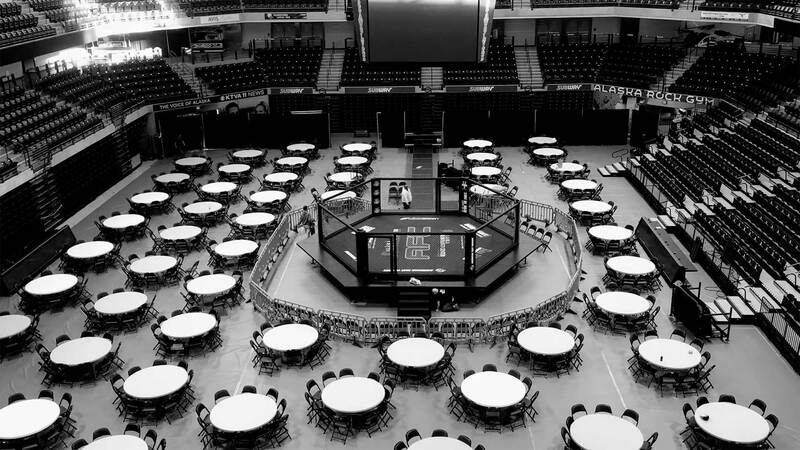 AFC Celebrates 15 years of MMA in Alaska with "Best of the Best 15"
Alaska Fighting Championship is Alaska’s premier Mixed Martial Arts event. Founded back in July 2004, AFC 1 featured an action-packed night with UFC veterans Jeremy Horn and Rich Franklin. AFC has come a long way in cultivating its own professional fighters, some of which have fought in the UFC. Much like the days of discovering gold in Alaska, the AFC has mined many a gritty competitor from the ranks of hardy, “Last Frontier” Alaskan men and women. The reputation of tough Alaskan men and women and the harsh elements they train in has attracted global attention. Alaska Fighting Championship can be seen live every month at the Alaska Airlines Center in Anchorage, AK and is streamed around the world live only on UFC FIGHT PASS.